Where in the world is my Coin? It started out as a normal Monday morning in Spokane. An employee who works for Casual Friday Donuts went outside in the morning to warm up the doughnut truck. When they returned five minutes later they found the truck missing. The owners of the store called 911 and within minutes three police cars were on the scene. The officers didn’t have to go far when they found the vehicle, just south and down the hill from the store. 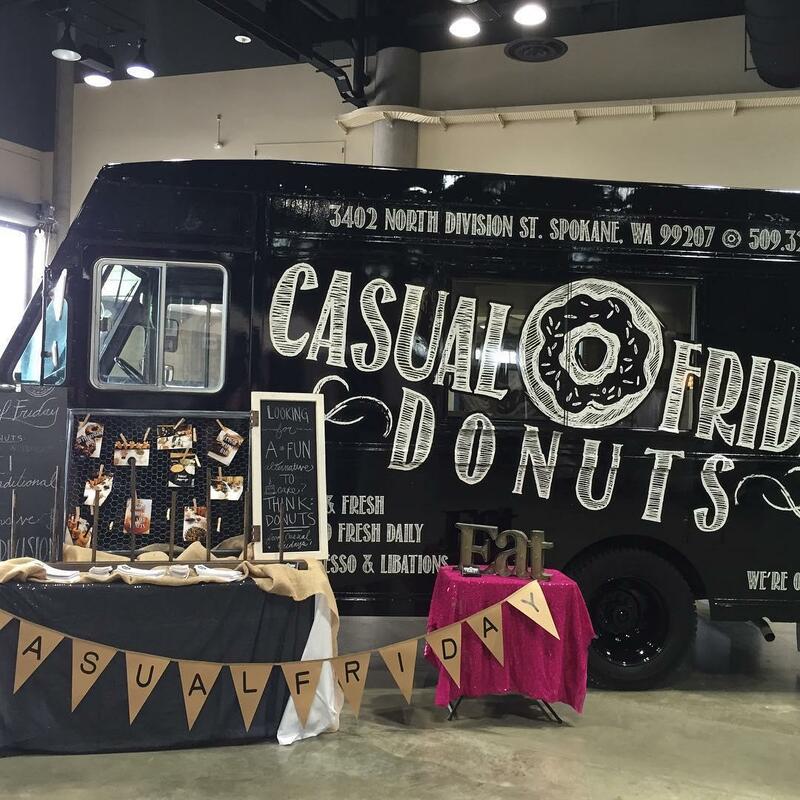 “When somebody steals a doughnut truck, you know we’re going to be all over it,” joked Officer John O’Brien, spokesman for the Spokane Police Department. “We put out an APB on that.” However it turns out the van may not have been stolen after all as the police found it resting on a short retaining wall. The owners of the store don’t buy it. According to them there’s a doughnut thief who is behind a string of thefts at the store’s dumpster, which is fenced and locked up. At least once a month someone breaks the lock and fishes the doughnuts out of the bin. The culprit then will arrange them on top of the lid like a police lineup, picking out a favorite assortment before leaving the least favorites behind. Sounds like a sticky situation to me….. Copyright © 2019 New Haven Police Emerald Society. All Rights Reserved. The Magazine Basic Theme by bavotasan.com.